The mission of the Veterans Business Council of the Saratoga County Chamber of Commerce is to facilitate opportunities for our military veterans residing in Saratoga County. Efforts will be to connect them with the business community to enhance their knowledge of employment opportunities, job or entrepreneurial training, and new business development. The Council will also seek additional opportunities in support of our local veterans. Please use the button below to make a donation to support the mission of the Veterans Business Council . The Veterans Business Council of the Saratoga County Chamber of Commerce announces the 2019 Veterans Business Council Scholarship Program. 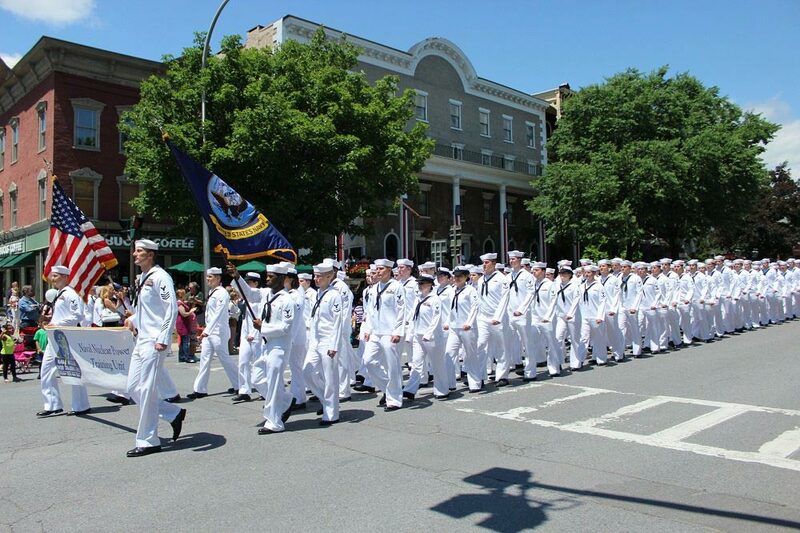 Under the Program, two (2) $5,000 scholarships will be awarded to veterans or service members that live in, attend college in, or work in Saratoga County, New York. There are two (2) $5,000 scholarships for the 2019 – 2020 academic year that will be awarded in two parts. $2,500 will be awarded for the Fall 2019 semester and the remaining $2,500 will be awarded for the Spring 2020 semester. The scholarships can be paid either directly to the recipients or the institution. Seeking United States Veterans, Active Duty, National Guard, and Reservists with current orders or an honorable discharge from the United States Military that reside, work, or attend college within Saratoga County. Applicants must provide proof of acceptance/enrollment at a college before the scholarship is paid. Applicants must submit current orders or a DD-214 showing an honorable discharge. Letters of recommendation can be submitted but are not required. Applicants must attend an interview with the selection committee. In certain cases this can be done remotely. Students awarded the scholarship must maintain a G.P.A. above 2.5. Students must provide a general FERPA release for verification. Scholarship funds will be paid in July 2019 for the Fall semester and upon receipt of GPA verification for the Spring semester. Applications must be postmarked on or before April 27, 2019. Late applications are not accepted. The applications will be reviewed and recipients selected by a committee consisting of Veteran volunteers from the Veterans Business Council. The scholarships will be awarded in July 2019 and upon receipt of the students G.P.A. verification. Please submit any questions to: dromeo@saratoga.org. As part of the Chamber's celebration of Veterans Day, our staff worked with the Veterans Business Council to interview six local Veterans who now own and operate local businesses in Saratoga County. Each of these videos is below and can be seen by clicking the video itself. SARATOGA SPRINGS, N.Y. – Veterans possess hard-earned mental toughness, superior work ethic and an ability to overcome adversity, which proves valuable in business and life. 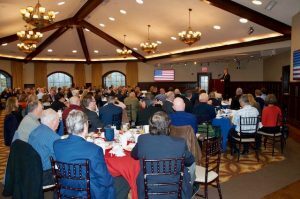 A retired U.S. Army general encouraged those who have served to use such traits to their best advantage, during a speech Thursday at a Veterans Business Council breakfast with more than 200 people on hand at Saratoga National Golf Club. 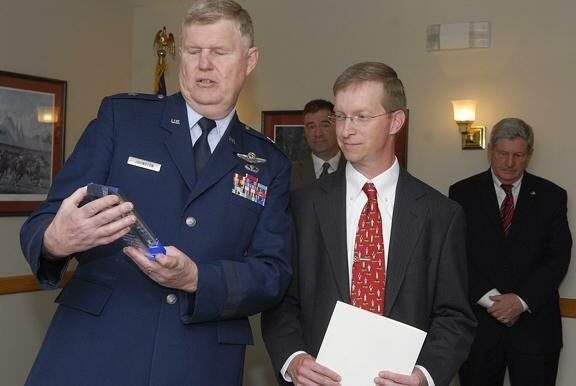 Watervliet native and current Wilton resident William C. Martin is a Desert Storm veteran who served as a strategic analyst and speechwriter for General H. Norman Schwarzkopf. Martin also is a past deputy adjutant general for New York State and was a political military planner for the chairman of the Joint Chiefs of Staff. In civilian life, he founded and is president of The Initiatives Group, LLC, a management consulting firm specializing in leadership development. The 23-member Veterans Business Council, a Saratoga County Chamber of Commerce program, helps veterans find jobs and start businesses. Since its inception five years ago, the Council has hosted Hiring Our Heroes events, several Boots to Business programs that provide entrepreneurial training, and organized multiple fundraising activities. Recently, the Council obtained a $450,000 grant that will be used to build a new field house at the U.S. Naval Support Activity site in Saratoga Springs. Council Chair Karen Charbonneau reminded attendees that this Nov. 11 – Veterans Day, previously called Armistice Day – marks the 100th anniversary of the end of World War I. “When I enlisted in the army (1988), I did so with the belief a strong military presence allows us as citizens in the United States to live with freedoms not experienced throughout the world,” she said. Today, that mission is being carried out by troops fighting the Global War on Terror in places such as Afghanistan. The key to winning this war, or achieving any goal, is “always looking to anticipate and create change,” Martin said. A strong overseas presence is critical to keeping the enemy at bay by disrupting their communication, infrastructure and training capabilities, he said. Saratoga County Clerk Craig A. Hayner and members of the Board of Supervisors recently announced the launch of a newly redesigned Saratoga County veterans F.A.V.O.R. card (Finding & Assisting Veterans of Record) and formally opened an exhibit that showcases a collection of military memorabilia from local veterans. Eligible County veterans are encouraged to file their military discharged papers with the County Clerk in order to receive their copy of the FAVOR Card. The card allows veterans to display their branch of service and, if eligible, their Purple Heart Medal designation. The FAVOR Card program provides discounts to eligible veterans at more than 325 participating businesses throughout the county. A list of those business, and more information on program eligibility can be found on the County’s FAVOR program webpage. “Today’s announcement of a redesigned F.A.V.O.R. 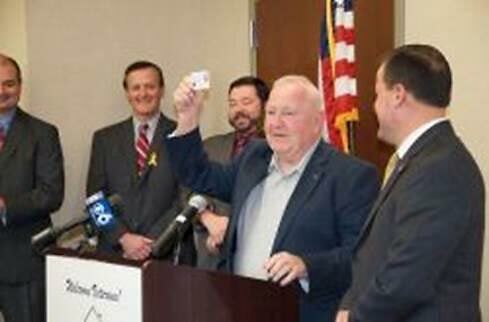 card represents a wonderful enhancement and expansion of this terrific program that helps and honors our local veterans. I strongly support the F.A.V.O.R. Program and it is terrific that my friend Saratoga County Clerk Craig Hayner, the Saratoga County Board of Supervisors, and the Saratoga County Veterans Service Agency are strengthening this important and successful initiative, in addition to celebrating and showcasing the special history of area veterans dating back to World War I. As a nation, state and community, we are forever grateful for the service and sacrifice of our veterans,” said New York State Senator Kathy Marchione (R,C,I,Reform-Halfmoon). Veterans are encouraged to file their discharge papers with the County Clerk in order to enroll in the FAVOR program and have access to discounts at more than 325 businesses in Saratoga County. Veterans can file the paperwork at the County Clerk’s office in Ballston Spa. 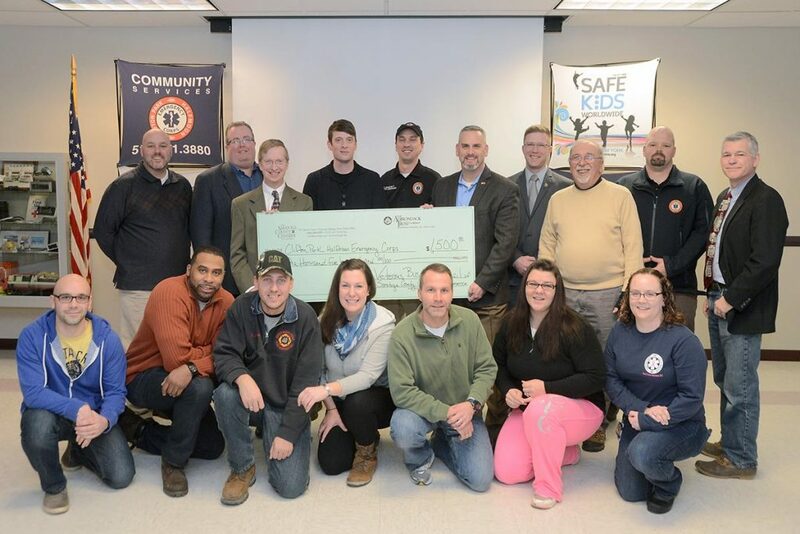 Clifton Park - Saratoga County’s Veterans Business Council last week showed their support for veterans with a $1,500 donation to the Clifton Park-Halfmoon Emergency Corps’ Combat Veterans EMT program. The intense course of study is offered free and exclusively to combat veterans by the CPHM Emergency Corps. Through course work, demonstrations, and an internship in the CPHM Emergency Corps, the students prepare for the Emergency Medical Technician certification test. Thirteen students, all veterans, started taking the twice per week classes at the Emergency Corps’ main station in Clifton Park in October. They have five more weeks to go to completion. The instructors, most of whom are veterans, are donating their time. Additionally, the Emergency Corps has undertaken the cost of course materials, full physicals, physical agility tests, and background checks. Saratoga Hospital is donating the cost of drug screening. Once the students have achieved their EMT certification they will be ready for employment. Dan Colvin, the Chairman of Saratoga County’s Veterans Business Council, and Todd Shimkus, president of the Saratoga County Chamber of Commerce made the formal presentation of the donation. The Business Council is part of the county Chamber. The Veterans Business Council was established in 2013 and now has a 23-member council made up of veterans who are business leaders in the community. The presentation was made before the night’s course work. It drew members of the Saratoga County Chamber, members of the Veterans Business Council as well as Halfmoon Supervisor Kevin Tollisen. About half the class was in attendance to witness the presentation. After explaining the practical parts of the course that were being studied and the procedure for getting certified, Emergency Corps member Russ Coonradt, a veteran, EMT, fireman, and a course instructor, described what it was like to have a roomful of veterans. One of those seated in the classroom was Pierre Brown, an eight year veteran of the Marine Corps who received his honorable discharge in 2008. Brown has a full time job as a bartender and bar manager at a business in Menands but was feeling unfulfilled in his desire to serve his community in a civilian capacity. Brown said a Navy corpsman assigned to his unit when he was overseas was his inspiration for signing up for the course. He said he finds the course thorough yet very satisfying. Being a relatively new organization and working within the structure of the Saratoga County Chamber, Colvin said the Veterans Business Council is still working at how best to leverage the council’s collective business talents. Hanchett said the Clifton Park-Halfmoon Emergency Corps hopes to retain some of the students once they are certified. 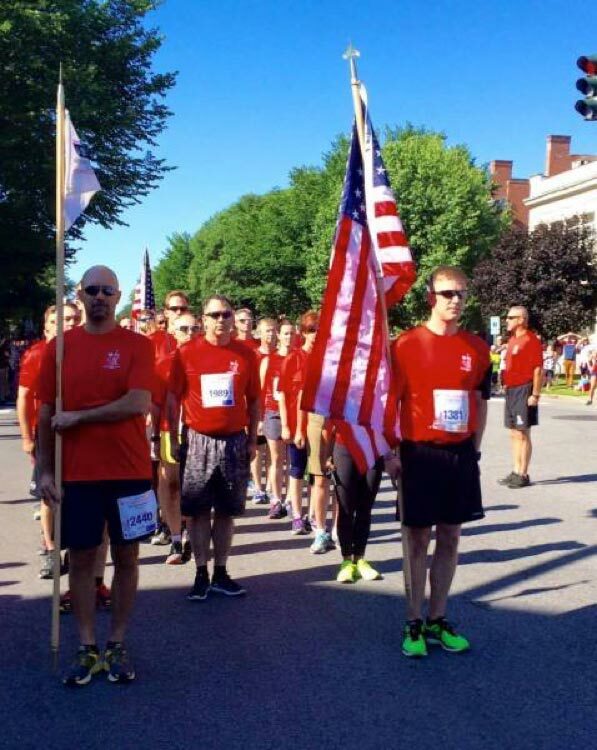 Saratoga Springs - Runners in the 10th Firecracker 4 road race were off to an explosive start Monday morning, just like the celebratory fireworks in celebration of Independence Day in Saratoga Springs that evening. Team Victor Bravo Charlie of the Saratoga County Chamber of Commerce's Veterans Business Council led off the race. 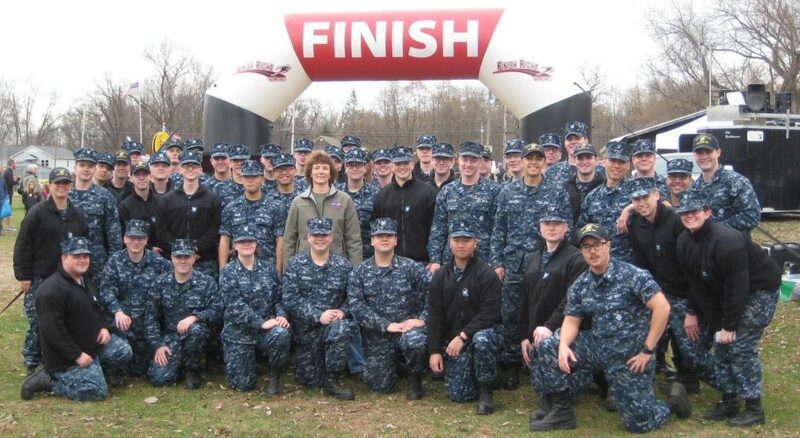 Carrying flags and running in formation, past and present servicemen and women could be heard chanting in unison throughout the crowd of 2,784 finishers. Ben Fazio of Troy finished in first with a time of 19 minutes, 43 seconds. The RPI senior's sub-five-minute pace landed him within 24 seconds of the course record. Kelsey Chmiel of Greenfield Center finished first on the women's side with a time of 22:23. "The difficult thing once you have created opportunities for veterans is to find the veterans and get the word out," Saratoga County Chamber Veterans Business Council immediate past chair Chris Homicz said. "What better way to get our message out than to get together a formation run in a group of 33 runners in cadence holding the colors?" The formation run grew exponentially as race day neared. Team Victor Bravo Charlie had six members as of last week, but with the addition of Marine recruiters and Marine Corps poolees, the team consisted of servicemen and women who served as far back as the Vietnam War. Even the veterans had not lost their training, as a medical emergency delayed the race and cut into where Team VBC was waiting to kick off the event. "We hadn't practiced what we did," Homicz said. "We kind of pulled it up from experience. We didn't move (away from the ambulance) until our platoon sergeant told us to take a step back." The race ended beneath a massive American flag, hoisted by two local fire departments' trucks, near the Saratoga Springs City Center. For Homicz, that symbol moved him more than all the rest. "Carrying the colors is a very special thing," he said, "but doing it on the streets of Saratoga, our home, is a wonderful experience." The race winners Monday were young. Fazio is 21, and Chmiel is 14. In May, Chmiel, then a Saratoga Springs freshman, won the 3,200-meter run at the prestigious Loucks Games, setting a state record. While Chmiel is younger, an even more youthful generation of runners took part in this year's race. A half-mile Sparkler Run allowed children up to age 14 to sprint down Broadway in front of the parade crowd. About 275 children took part in this inaugural race, some alongside their parents. 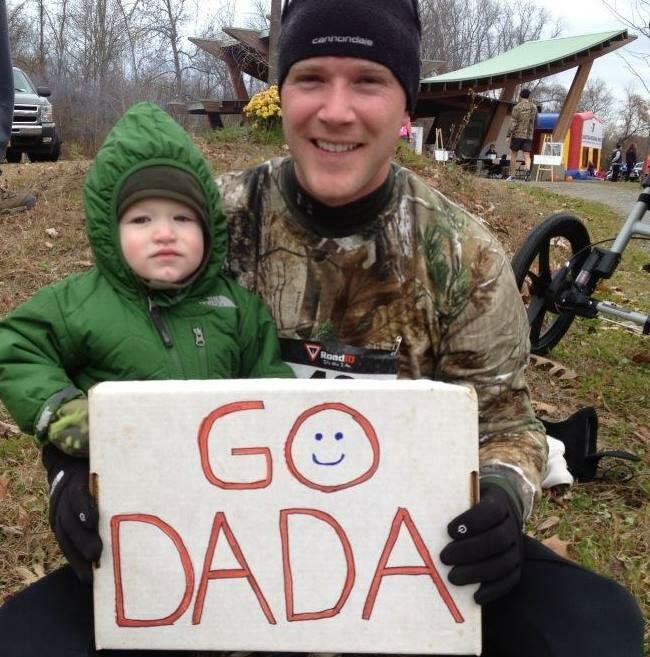 "The idea is to promote wellness and inspire our children to be active," race co-director Peter Goutos said. "Perhaps even inspire them to follow the sport of running in school and then in life." Veterans Business Council formation run in the Firecracker 4. The Saratoga County Chamber of Commerce is a tremendous resource in our area for obtaining a business referral, finding an entertainment venue, reading the blog on community happenings and selecting a chamber event to attend or support. Additionally, it’s an excellent way for exposing your business to the area with mixers, meetings and events, and as a member of the chamber, there are many benefits and opportunities for leadership and growth in our community. Their website offers an online jobs list with members posting available positions for businesses in the county (www.saratoga.org). With a friendly staff from the Director of First Impressions to the membership representatives and onto the CEO, they are an experienced and knowledgeable group who strive to provide the best methods and practices for developing businesses, answering questions and inquiries and acquiring gainful employment. One of the newest endeavors at the Saratoga County Chamber was the development of the Veterans Business Council in the fall of 2012. 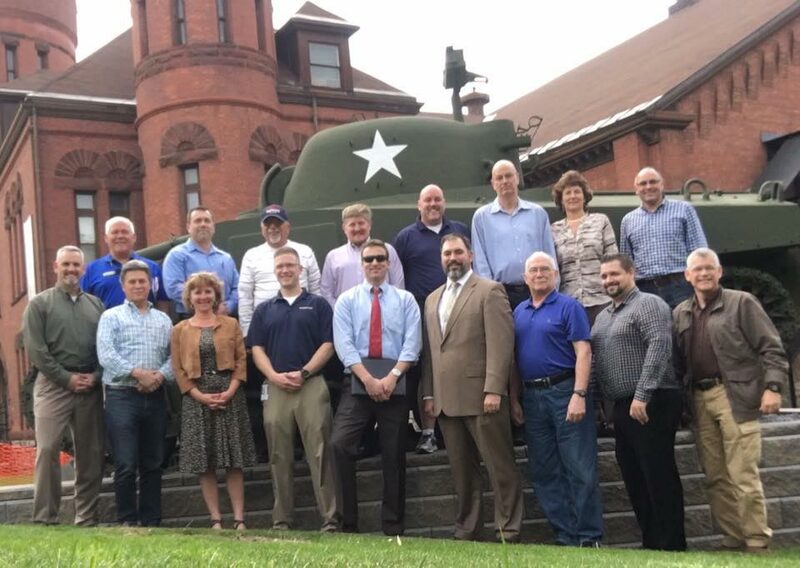 The idea for more veteran support began when the Saratoga County Veteran’s Service Agency presented an idea to collaborate with the Chamber and establish a full task force assisting veterans with their search for work. Vice President of Membership Services Denise Romeo (dromeo@saratoga.org) concurred with their vision and developed the Veterans Business Council in partnership with the Saratoga County Veteran’s Service Agency, which assists vets in filing claims with the US Department of Veterans Affairs regarding disability, education, pension, surviving spouse, and more (visit www.saratogacountyny.gov for further details). Ms. Romeo is a fervent advocate and supporter of our service members. Her father served in the military and currently her daughter is an intelligence analyst in the National Guard. Her daughter faced deployment overseas from January 2012 to December 2012, arriving back home in the states a few days before Christmas (the best gift that doesn’t fit under the tree). Denise works diligently with the Council to create community awareness and provide resources to help veterans looking for work connect with businesses in the area; provide training and matching the veteran’s skill set with employment opportunities; business development as well as giving additional support for those in the armed forces (i.e. referring those to an agency who can assist with temporary financial relief of mortgage payments, etc.). For instance, transferring the skills necessary to maintain a weapon, work together successfully on a mission, often times under extreme circumstances and conditions, and utilizing those leadership roles toward civilian job placement. The Veterans Business Council consists of 25 Chamber members (all but one are veterans themselves and the one civilian is a veteran spouse) and connects veterans with the business community. They meet monthly, exploring ideas to assist veterans with their quest for employment, facilitating plans and events, bringing together the veteran employee with the ideal employer match within the community. Also on the agenda is discussing initiatives for employers and prospective members to hire veterans. Increasing visibility throughout the county is another goal for the Council as it gears up for a Hiring Conference in March. For this conference, the Council has reached out to its membership, devising a data base resource that pairs the veteran to an available position. The ideas, dedication and determination to support our veterans will continue as the Veterans Business Council meets and becomes a larger presence within the community. If you are a vet or know a veteran who may need assistance, work for an area business, would like to become a volunteer and play a part in this mission, please contact Denise Romeo at the Saratoga County Chamber of Commerce at (518) 584-3255 or visit their website www.saratoga.org and look for the Veterans Business Council link, or email Denise directly at dromeo@saratoga.org for further information. Our service members have sacrificed for us. Let’s help them to become and remain active, prosperous individuals in our community. Thank you, as always, to our veterans, their families and loved ones for all that you do.